Welcome! If you are new here, let me tell you a little about my blog, YouTube channel and newsletter. I also have two classes and e-books available. YouTube. 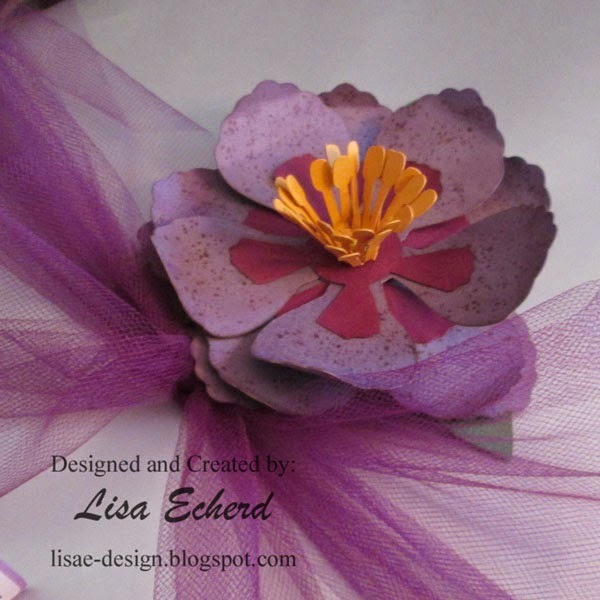 My YouTube channel is www.youtube.com/lisaedesign Each week, I have at least one video. Most are process videos with several technique videos, too. Occasionally, I do a shopping video. It is very important to me to focus not just on the HOW but the WHY I do what I do. 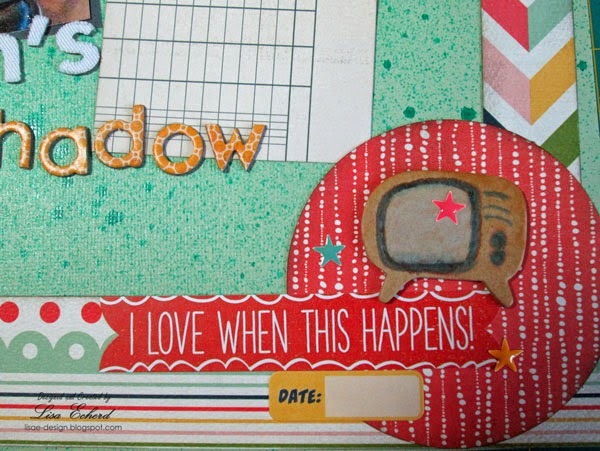 There is no right way to scrapbook. 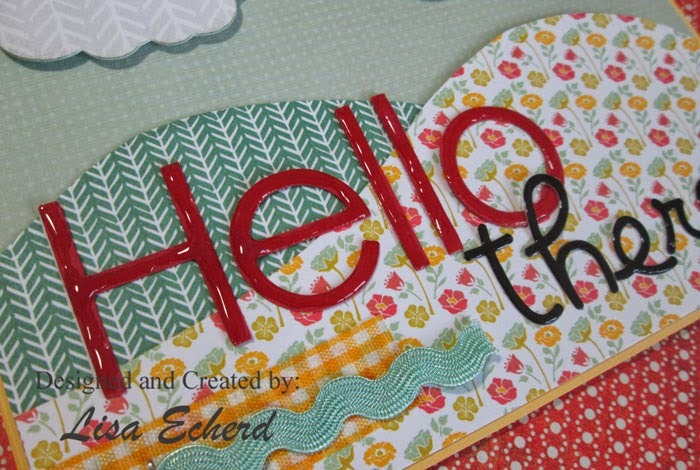 I just like sharing my methods and ideas and love watching other papercrafters' videos as well. Newsletter. Recently, I started a monthly newsletter. This one is definitely news. While I do promote my classes and e-books, each month I share a tip and an exclusive subscriber-only video. 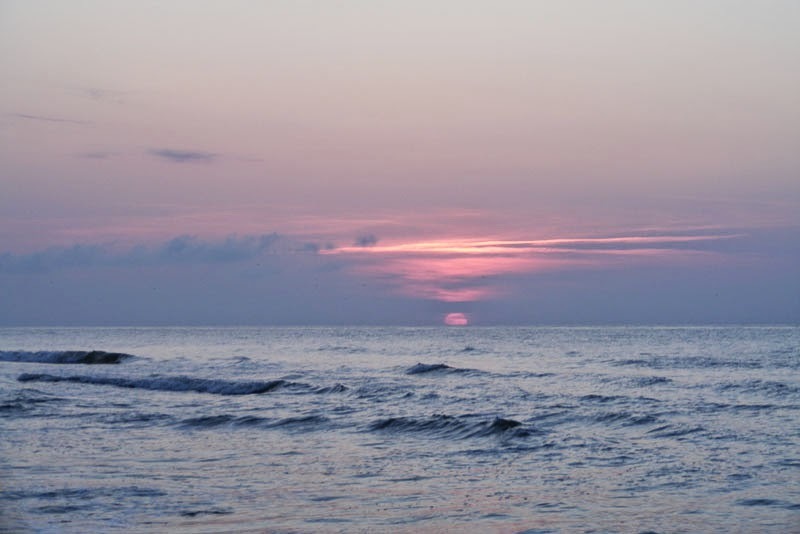 So be sure to subscribe to the newsletter on the sidebar of my blog. 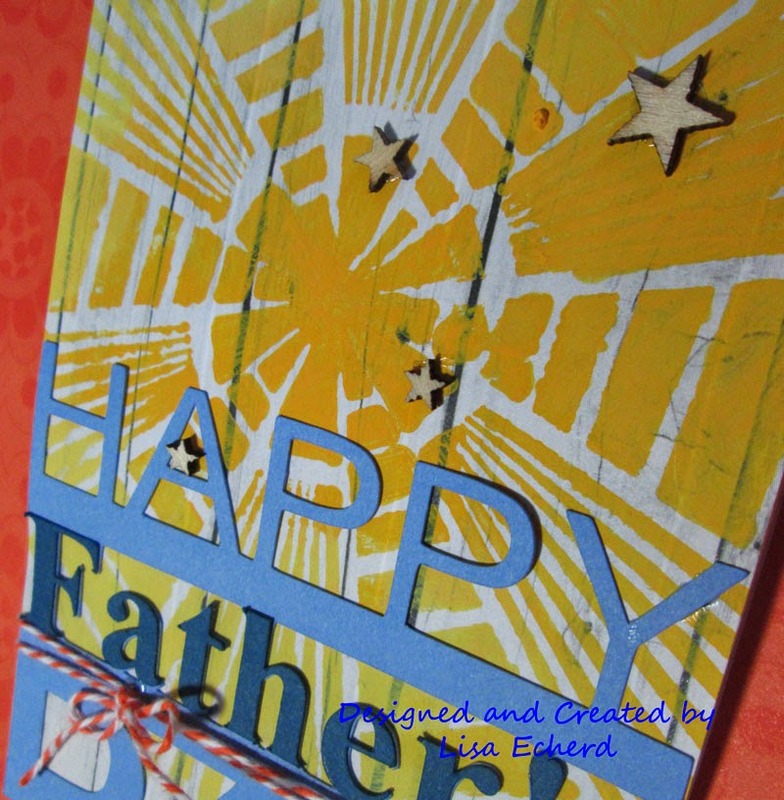 I will be resending June's newsletter with a video on die cut tone-on-tone background in the next few days to new subscribers. Classes. I spent many years as a corporate trainer and I love to teach which is why I started doing YouTube videos. Last fall, I published my first class. All are self-paced with tons of techniques and tips beyond the key points of the class. 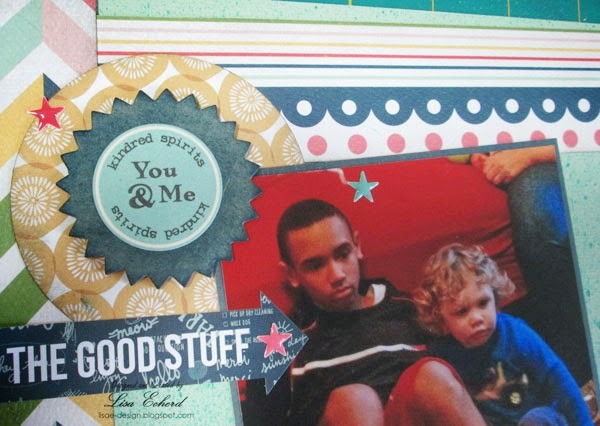 Cardstock is something almost every scrapbooker has and I bet you don't think too much about it. Yet there is gold in those pages. 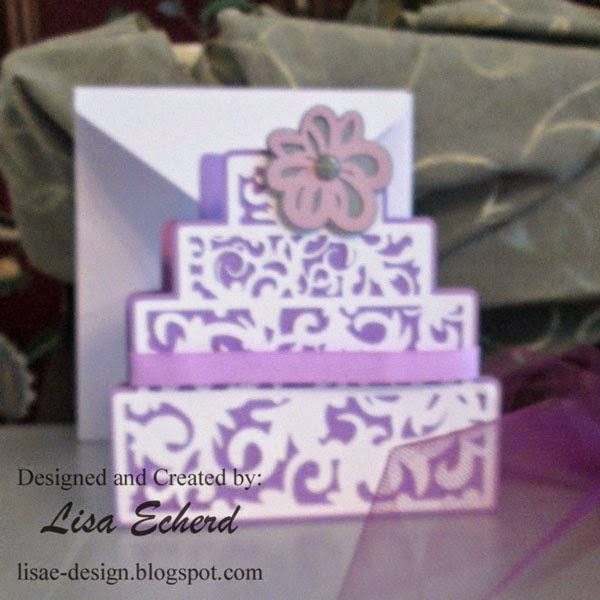 Inexpensive and available everywhere, cardstock is the ultimate supply. 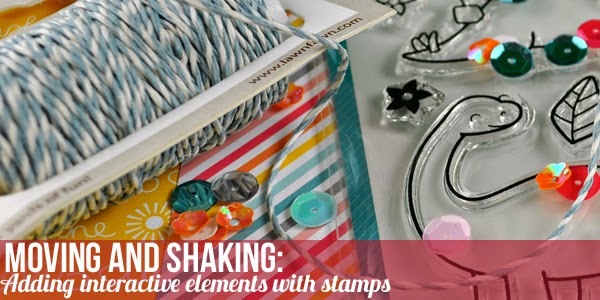 See how creative you can be with this versatile supply. Over 2 hours of video instruction, 10 sketches and PDF's. More info here. 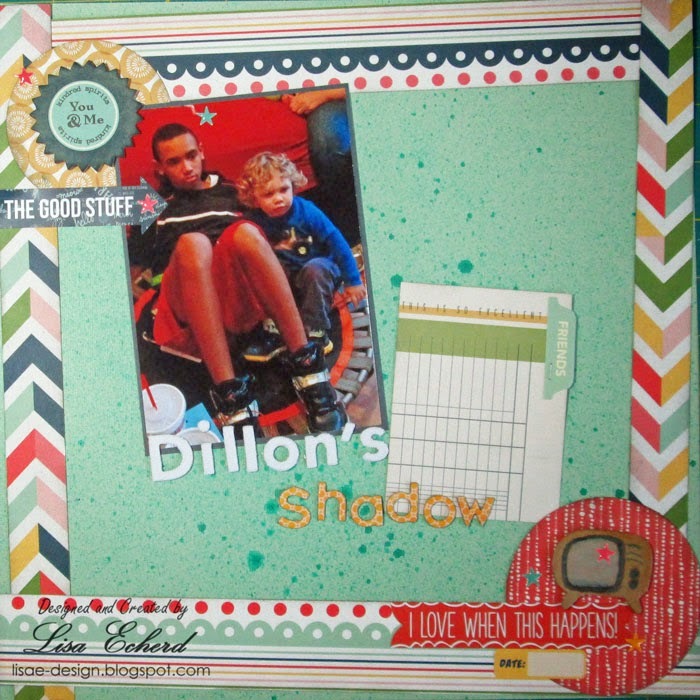 Two pagers have their own challenges for scrapbookers. Let's tackle them in this 7 lesson class with over 2 hours of instruction. Lots of layouts and sketches with many extra tips relevant to any type of page. Find out more about the class here. As you have seen, sketches can really set you free to be more creative. Each of these sketches used in my 2013 YouTube process videos is now in one collection in order by the number of photos. There is a link back to the process video. It's a great reference to get you unstuck or just to save some time when scrapping. More details here. This project is very dear to me as I have so few photos from my childhood through my 20's. We just didn't take pictures and the ones we did seemed to have gotten lost along the way. Sometimes I still miss the opportunity to take a photo. So I had to come up with ways to work around having the perfect photo. 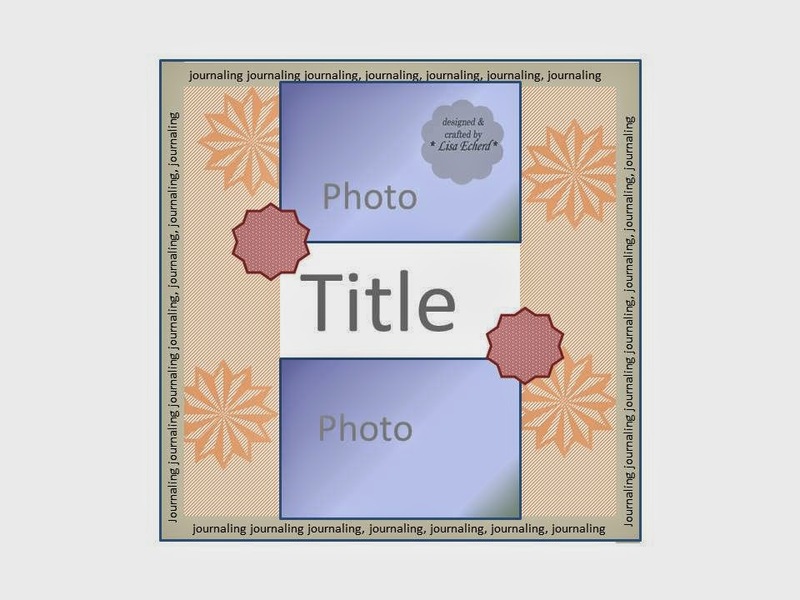 The class has no-photo pages and pages with all kinds of photos substitutes to still tell your story even without the perfect photo. More details here. On the sidebar, you will also find links to Twitter, Google+, Pinterest, and Facebook. When I update the blog or YouTube I post to Twitter and Facebook so you can follow along on your preferred social media. Thanks so much for visiting! It is so wonderful to have a hobby where you can share your passion with so many other creative people, isn't it? It is 91 degrees here this afternoon so it is very hard to think about Christmas time. The other day though I did just that as I shopped my stamp collection for a stamp that hasn't gotten as much use as I'd like. 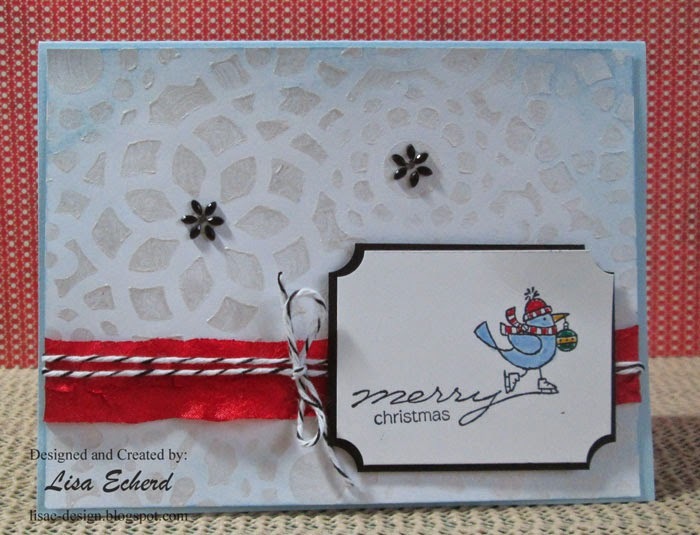 The For the Birds set from Stampin' Up! is very cute but not that versatile in my opinion. I had never used the Merry Christmas one. This little bird needed a showy backdrop to rest on. 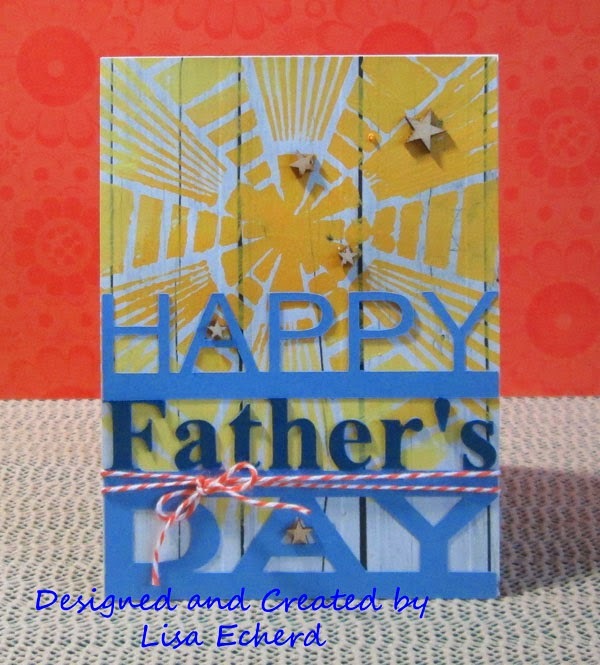 For the background, I used a stencil and metallic craft paint for a tone-on-tone affect. So now I have 2 Christmas cards done! Just a reminder. 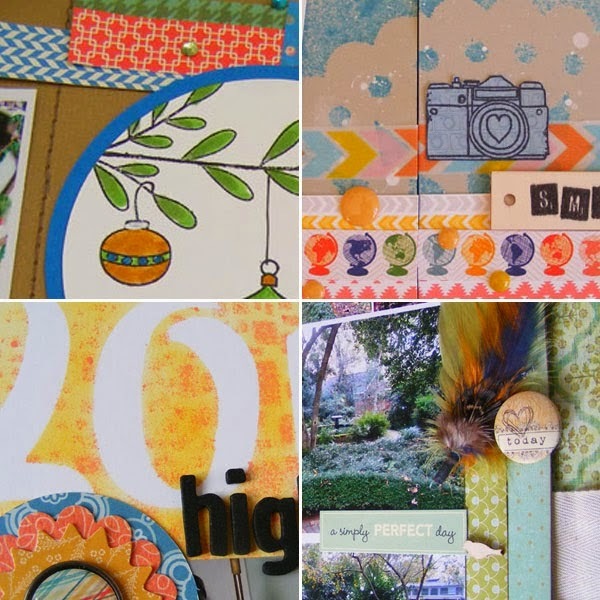 The last day for the current price on the Creative Cardstock class is Friday, June 27. You can sign up for Monday's free Sketches Scrapinar for a few more days. 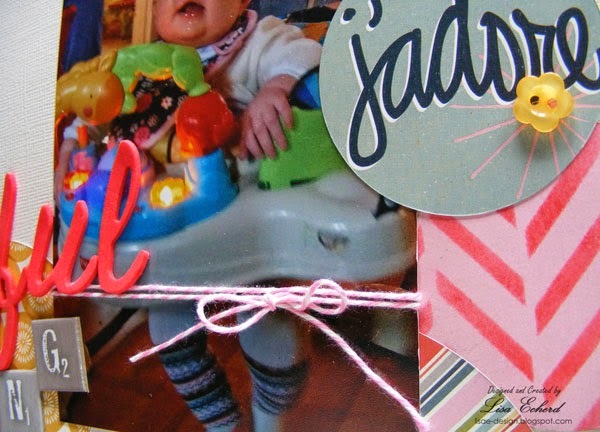 Today is a sad day in the scrapbooking industry. 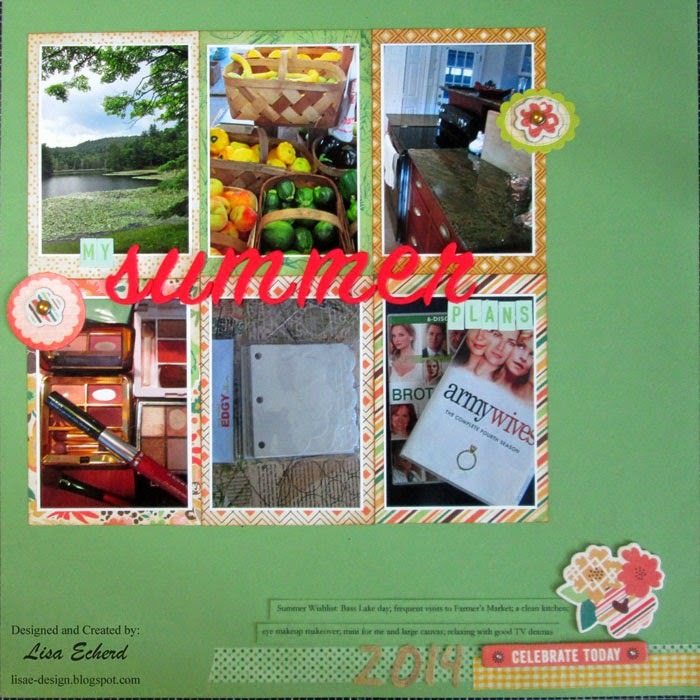 Two Peas in a Bucket, a long time on-line retailer of scrapbooking products, announced they are closing. This was not unexpected as many of us had noticed they were not getting in as many new products. Still it was a shock. Anytime we lose a business in our industry, the inevitable conversations pop up about how the industry is dying. I want to share my thoughts about the industry and business in general for what it is worth. I would like to preface this by saying that I do not know why Two Peas went out of business. There could be many reasons. I'll start with why I closed my 16 year window treatment business last year. I got tired of it. There are certainly other factors. I didn't feel I made enough money for my efforts. I despaired quoting so many jobs in the last couple of years I didn't get. The price of fabric had gone up so much it was almost embarrassing to quote the price. But it really boils down to, I wanted to do something different. Could I have made this business more successful? Sure. Would it have been harder than it was when I started in the late 90's? Yes it would have. Four main factors affected my business IMO. Number 1 - Home and Garden TV (which I despise) in general not just the specific network tells us that we can just take a few things we find around the house and with a twist of the wrist turn them into the same fabulous creations we would pay hundreds of dollars for somewhere else. Nonsense. There are people who can create beautiful window treatments for themselves. They have sewing skills and they take the time to find patterns, study completed creations, invest in new quality fabrics and work hard at making something beautiful for themselves. They put in the effort and are rewarded. You can not through a sheet over a cheap rod and get the same result as a professional or the accomplished home sewer. If you like the sheet draped over the rod, that is fine. It just isn't the same as lined draperies custom fit to the window. Yet the TV shows will have you think it is. (ok, that rant is over now.) So, yes a custom treatment costs money because it is a quality product. Number 2. We have changed the way we shop. We shop on-line far more. Even when we don't buy on-line, we research on-line. We know far more about what things cost than ever - or what we think they should cost. This isn't all bad of course. In fact it is mostly good although it sometimes leads us to think we can get ANYTHING with free shipping. It still costs to ship and that cost is in there somewhere. It used to cost me $17 to get a small box of trim from Des Moines to my house. Number 3 - The economy. In our area, it still hasn't recovered. Employment is back up but houses are not selling and new home construction is slow. Interest rates are through the floor and that is terrible for investors particularly the over 55 group which were the main market for my type of products. Number 4 - Styles have changed. In the window treatment industry it is now all panels and Roman Shades. Customers just don't want valances and this affects profit margins. As in any business, you make more on some products than others. When trends shift, it affects the bottom line. 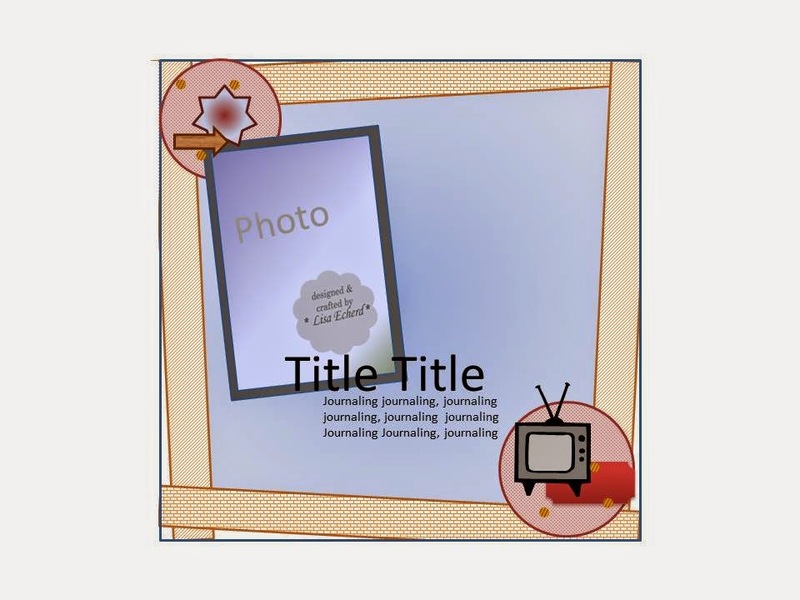 Now you can take every point I just made about my industry and apply it to scrapbooking. 1 - Everyone, including me, is showing you how to use what you have to create beautiful pages. There are tons of technique videos for finding or creating product substitutes. Not everyone wants to make their own shimmer paint but it can be done and there is a YouTube video to show you how if you want. The question is do you want to make your own or do you want the convenience of buying. You have to decide but inevitably this will lead to changes in what we buy. 2 - More buying on-line may have helped Two Peas but it certainly hurt local stores. Shipping is a much complained about topic and as I said before, it costs to ship. We have to remember that resellers like Two Peas and all the others have to have product shipped to them first so that shipping must be figured in too. Shipping costs have really gone up in the last few years. And no wonder, have you bought gas lately? 3 - The economy affects every industry - up or down. 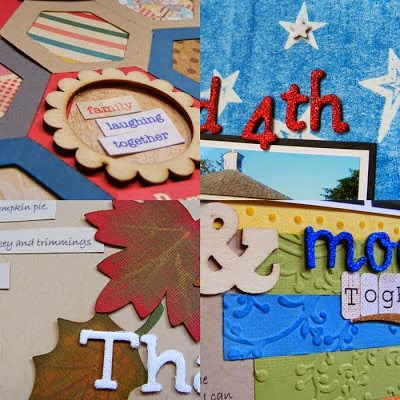 4 - The type of products we like has changed and I don't know which ones have better margins than others in the scrapbooking industry but it is bound to make a difference. So there are tons of reasons why one retailer may not make it. Is the industry in trouble? Maybe, but I've been hearing the doomsday call for a long time now. I'm not that worried. I was scrapbooking years before I'd ever used a single sticker, heard of Ranger inks, or touched a 6x6 paper pad. Yet, we scrapbookers are passionate about our craft. We are naturally do-it-yourselfers who can create things that please us with all kinds of materials. We will find new products and continue to connect on-line one way or the other. I'm attending a bridal shower on the first day of summer. So it will be a celebratory start to the season, I'm sure. Such wonderful feedback on yesterday's summer plans video. Thank you! We are all anxious to get crafting so let's get to it. 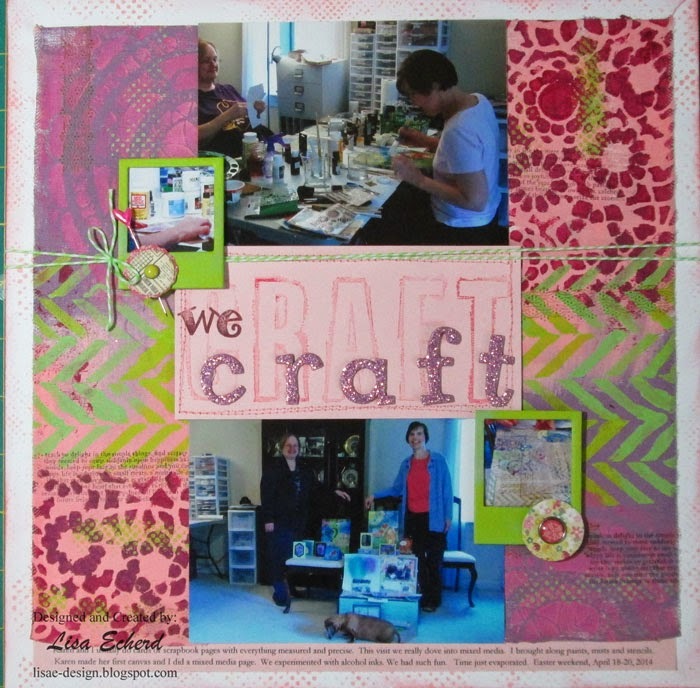 Today's page is to celebrate crafting with my best friend over Easter weekend. We did a lot of mixed media so it seemed appropriate to add that to the page. 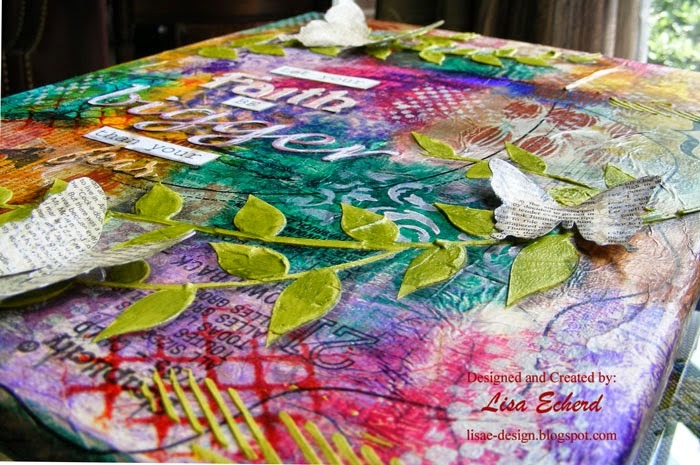 One of the products I wanted to use this summer was sticky back canvas from Claudine Hellmuth. The page also features some older stamps in the title. I no longer buy alpha stamps because I just don't use them. This large alpha set has worked out on a few pages. I have another idea for it so I'll tuck that away for a future layout. 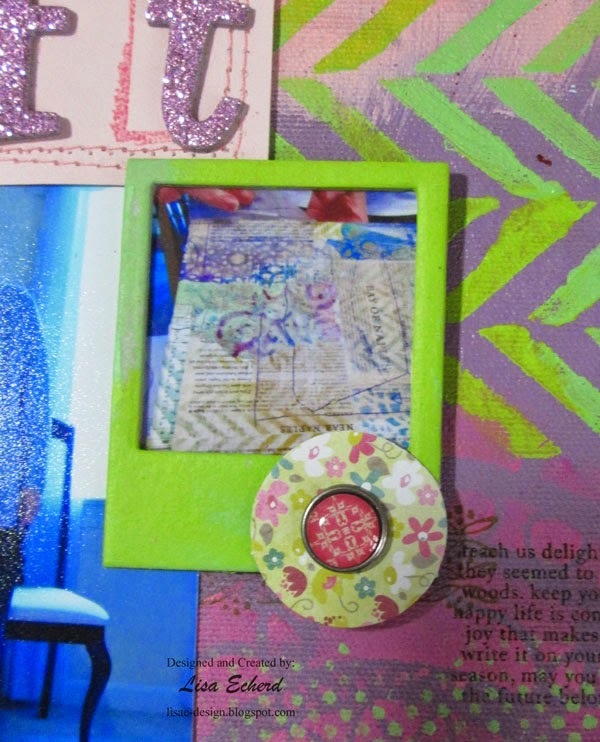 The little chipboard frames are from Maya road. 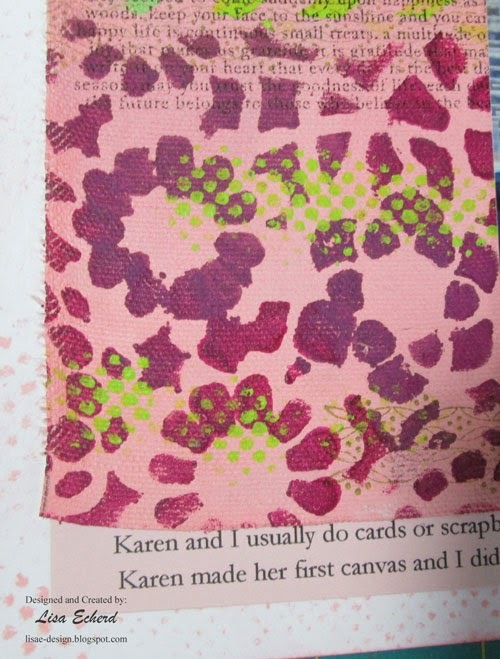 The photos inside are closeups Karen's husband took of our crafting adventures. 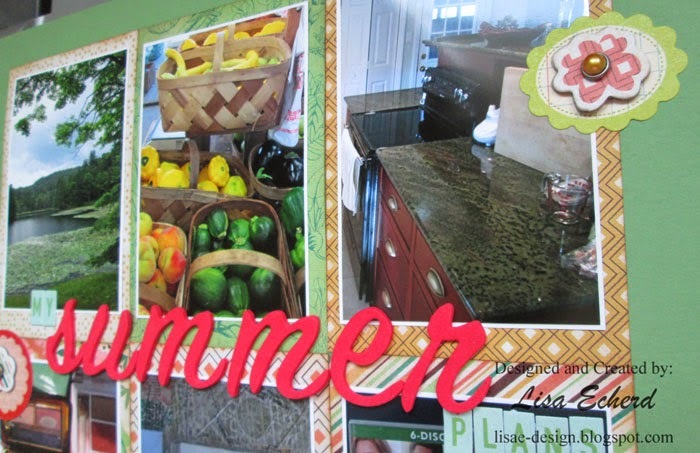 Thanks for stopping by today and Happy Summer - or Winter - depending on where you live! A light bulb went off the other day while I was on my walk. I had been thinking about summer and fun things I wanted to do. I was tempted to make a list but reluctant. I just knew if I made a list something would come along to kill my plans. I'm often like that in my personal life, not planning things anymore because someone will get sick, or something else will happen that keeps me from doing what I said I would do. My revelation was that I never did that with my work and I still don't. I committed to doing the Scrapinar on June 30. Oh it crossed my mind that my father who was having some health issues in May could be having surgery (he isn't and is doing better) but I knew I could still prep for the Scrapinar. I didn't worry about all kinds of other things that could come up. I made a work commitment and I intend to keep it if at all possible. I've always been that way about work. I never took window treatment jobs with the idea I might not get them done. I have taught training classes when I should have been in home in bed with a bad cold or when I was dead tired or when someone probably needed me somewhere else. I learned early that when you make a commitment to a customer you honor it. So why are I so shy about making commitments to myself? Sure it is far more important to take my Dad to the doctor if he needs to go than to go to a movie. But I have a whole summer. I can do more than one thing. Just because something might happen doesn't mean it will. And so the sentiment on this canvas is one I really need to work on. And I came home from my walk and made that list of fun summer activities. So onto the project. I started this canvas one day in April with no idea what I wanted to do. I just wanted to play. The background came out a bit busy so I turned to Pinterest for ideas on the foreground. 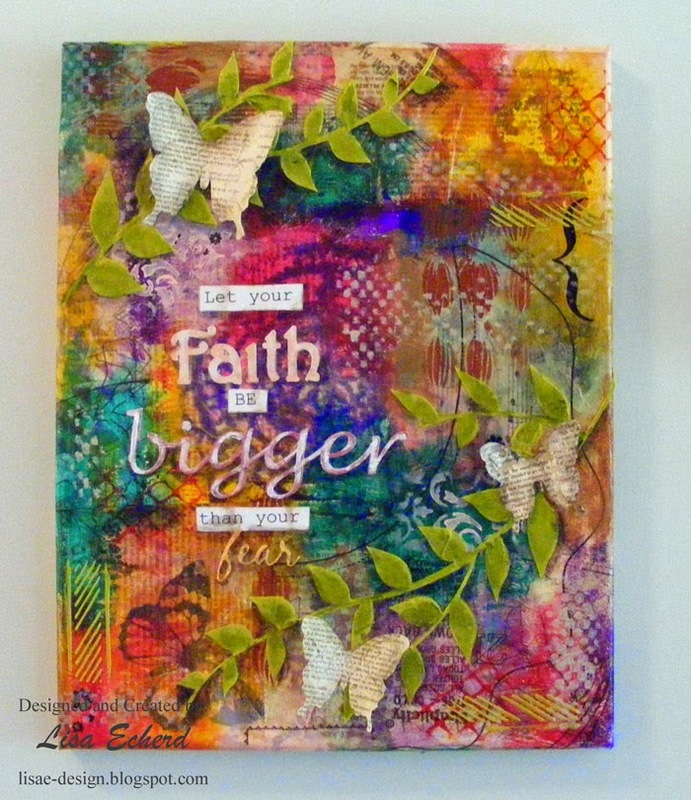 This piece by Jill Foster has been pinned in my Mixed Media board for a long time. She used white for the leaves but you know how I like color so I did mine in a kiwi green. It was bit bright so I went over it with some Peeled Paint ink mixed into Mod Podge. 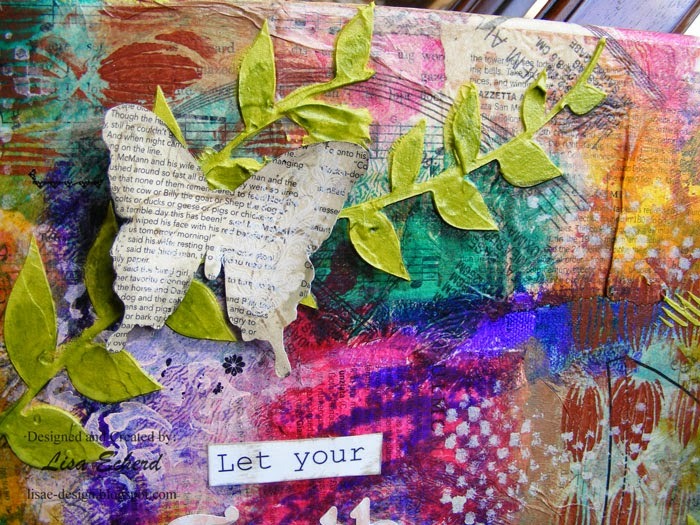 The butterflies are cut on the Silhouette from some October Afternoon book paper printed pattern paper. It had more stability than regular book paper and held up to several coats of Mod Podge after being stamped and having some white rubons. The phrase is also from Pinterest. I see this often as it hangs just outside the bathroom door. This is one of those that the more I look at it, the more I like it. And I really need to take this sentiment to heart. Epoxy letters look slick - literally and figuratively. You can easily make your own with a little glossy accents. 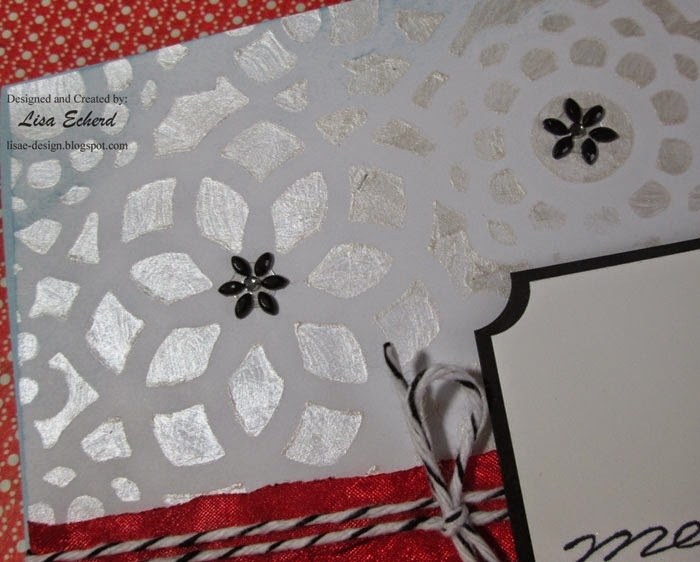 This is a great way to add a little zing to your cardstock, too. 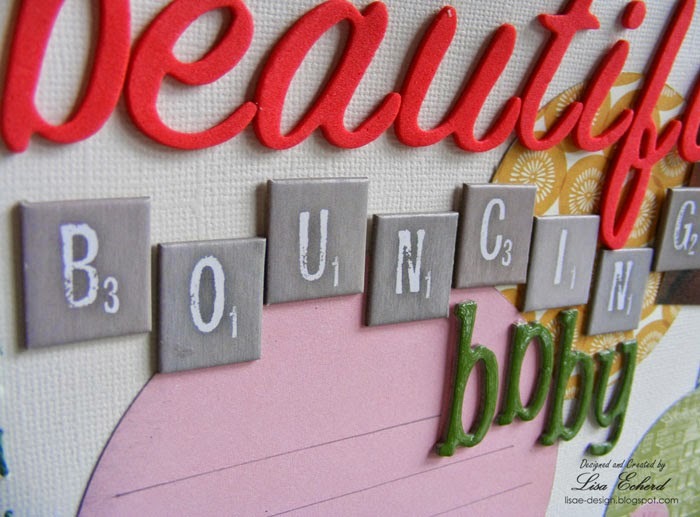 Cut letters from cardstock or pattern paper as thin as you like and then add a layer of Glossy Accents (or Stampin' Up! Crystal Effects) for the epoxy look. You get whatever color and size you want in professional look. The technique also works with regular stickers to give them a bit of lift. I mentioned this is a trick to enhance cardstock. 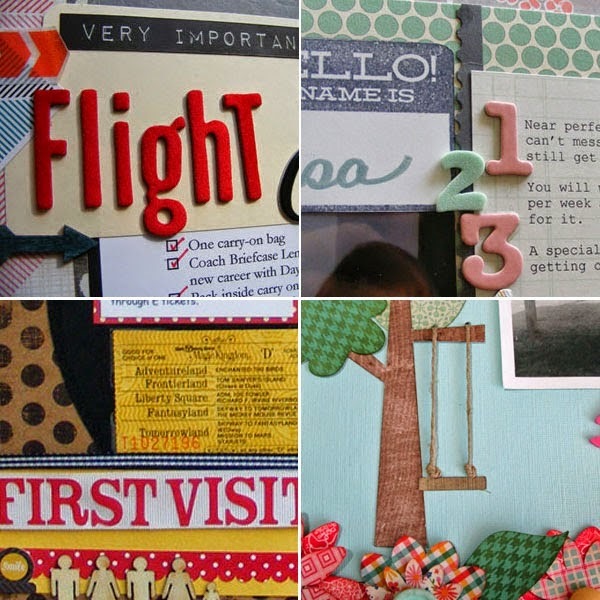 There are tons of tricks for using your cardstock in the Creative Cardstock class. 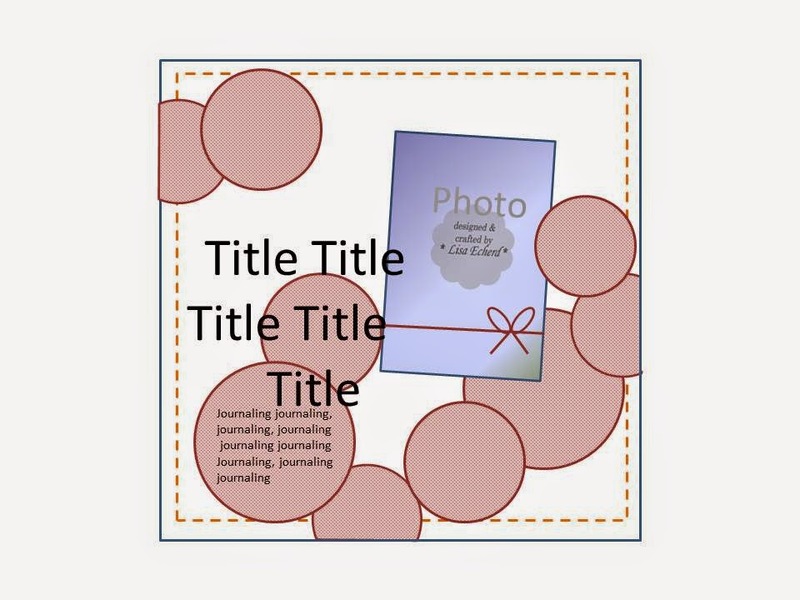 When I published this self-paced class last fall, I listed the introductory price at $15. That price is about to expire. It will be available for $15 through June 27. Then the price increases to $20. Click HERE for more details and there is a link on the sidebar for purchase at the $15 price. 10 lessons with videos, sketches and tons of tips. Once purchased, you can complete the class at your own pace. It doesn't take a genius to guess what is keeping these two active boys entranced. I'm guessing the TV. I think Jaime said they were watching something at the end of a busy day. She was baby sitting her sister's children and got a couple of photos for me to scrap. I did one last week of the little girl in her bouncy swing. 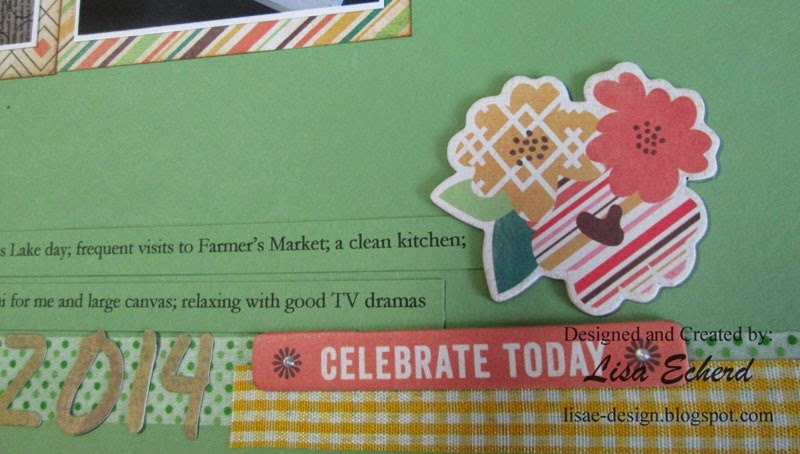 For that page, I used BasicGrey's Mon Ami and repeated just a bit of that here on this page along with some birthday papers from Carta Bella. I ordered them for the colors and I love the texture of these papers. They are cut in strips and form an angled frame around the layout. The center is a calm green with some Heidi Swapp mist. I wanted to show the calm part of the day. The TV is from Prima. It is a pack of chipboard meant to go with some doll stamps. I love the furniture shapes. I'm still working on the coloring techniques. If you haven't already, I hope you will sign up for my Scrapinar/webinar on Sketches. It is on June 30 and is a free class with video and plenty of Q and A time. It's going to be fun! I'm so excited! 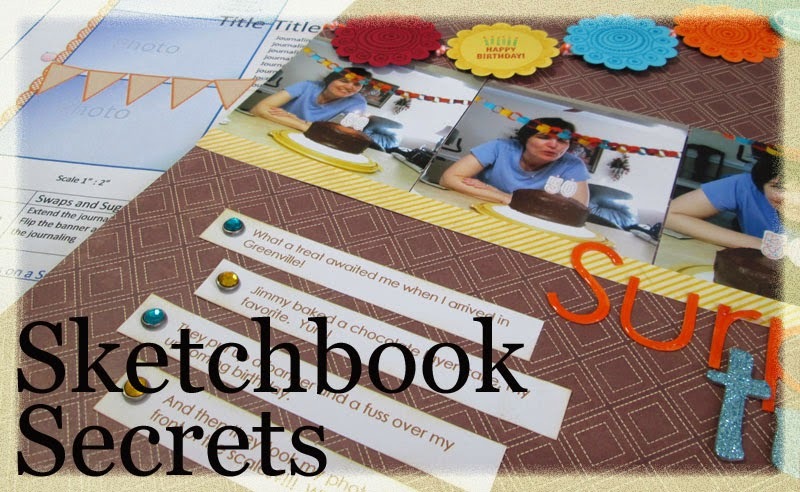 Lain Ehmann's has asked me to do her latest Scrapinar - Sketchbook Secrets on June 30. The Scrapinar will last about an hour with a 20 minute video from me and lots of Q and A with Lain and me. You can chat real-time with us or you can watch the replay for a few days following the 30th. So if you are busy that day, sign up anyway and catch us on the replay. 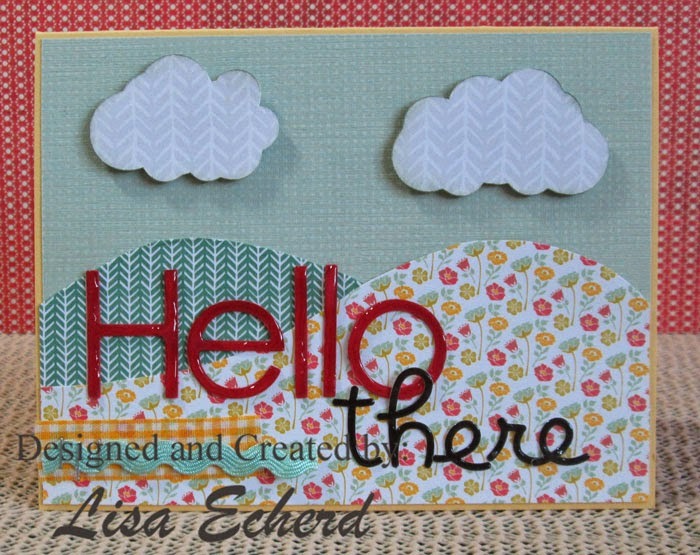 I did a scrapinar "6x6 Paper Pads for 12x12 Pages" last June and had so much fun meeting new people and sharing ideas. I'm really looking forward to this month's event sharing ideas on sketches. Thanks for stopping by and I hope you will join us on the 30th. Lain Ehman's 2014 True Stamp individual classes are now for sale. Through June 30, they are $9 each. You can get all six for a special price. See all the details and class descriptions here.